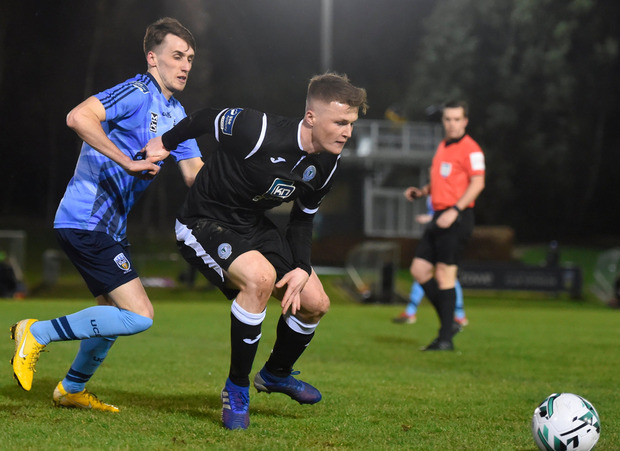 Richie O'Farrell hit a brace to give UCD a deserved first win of the season as they leapfrogged Harps off the foot the Premier Division table. 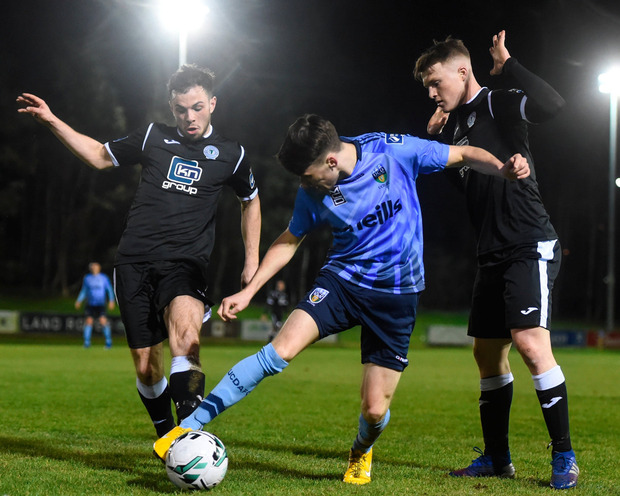 Bright and busy from the start, UCD troubled Harps twice inside the opening five minutes. Yoyo Mahdy was involved on both occasions, first putting Kevin Coffey in one-one-one with Ciarán Gallagher only for the winger to scuff his shot wide. Mahdy then raided on the left to pull the ball back for O'Farrell whose crisp drive was pushed out by Gallagher for a corner. The lively Mahdy found O'Farrell once again on 12 minutes. The midfielder turned well, but just couldn't get hold of his shot which trickled wide off the outside of a post. The opening half finished as it began with the Harps' goal under siege. Gallagher made his second telling save on 44 minutes, reacting well to bat Coffey's deflected shot out for the first of three corners which Harps survived. 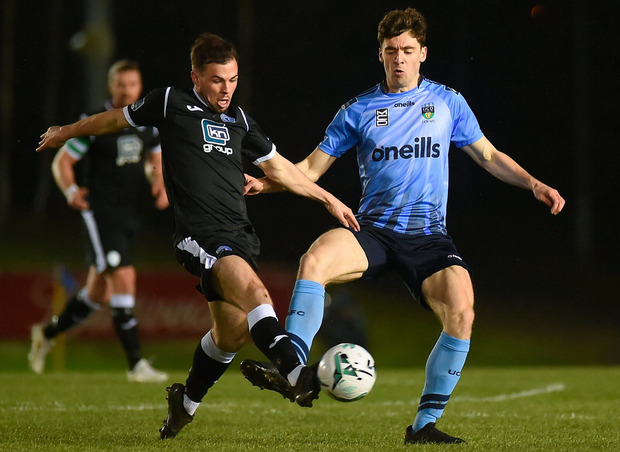 The frame of the goal then rescued the visitors five minutes into the second half, UCD captain Gary O'Neill shaving their crossbar with a free-kick from 35 yards. A goal was coming and it deservedly arrived for College on 61 minutes. O'Neill fed Mahdy in the area. And though the striker's shot was brilliantly touched away by a sprawling Gallagher, Timmy Molloy reacted to tap home the loose ball. Harps were carved open again 10 minutes later. Once more O'Neill found the pass, this time for the run of O'Farrell who drilled his shot to the far corner of the net. O'Farrell got his second on 83 minutes. Getting a return pass from Mahdy, O'Farrell's first shot was blocked but he was alert enough to sweep home the rebound. UCD - Kearns; Tobin, Collins, Scales, Dignam; O'Neill; Coffey (Farrugia 76), Molloy, O'Farrell, McClelland; Mahdy (McDonald 86). Finn Harps - Gallagher; Borg (Place 82), Cowan, Todd; Kavanagh, Ascroft, Coyle (Boyle 65), McAleer, O'Reilly; Cretaro (McNamee 72); Boyd.